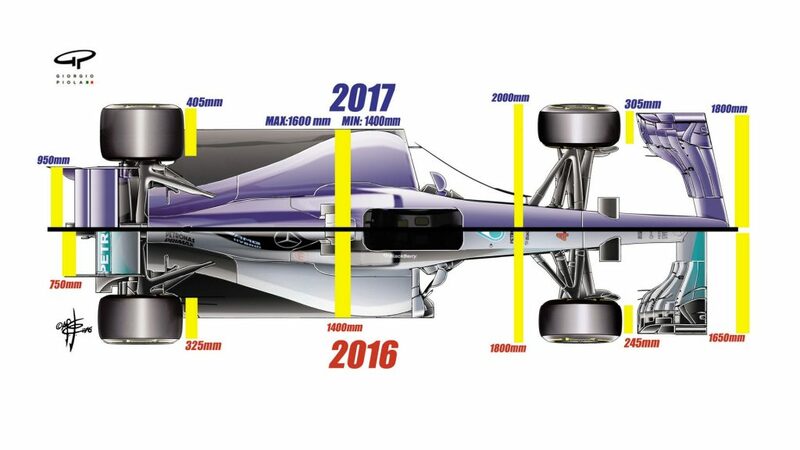 The extensive regulation changes for the coming season mean that Formula One cars will be even more pleasing to the eye in 2017. That is according to McLaren’s technical director Tim Goss, who says the revisions have had a dramatic effect on the appearance of his and rival teams’ new machines. 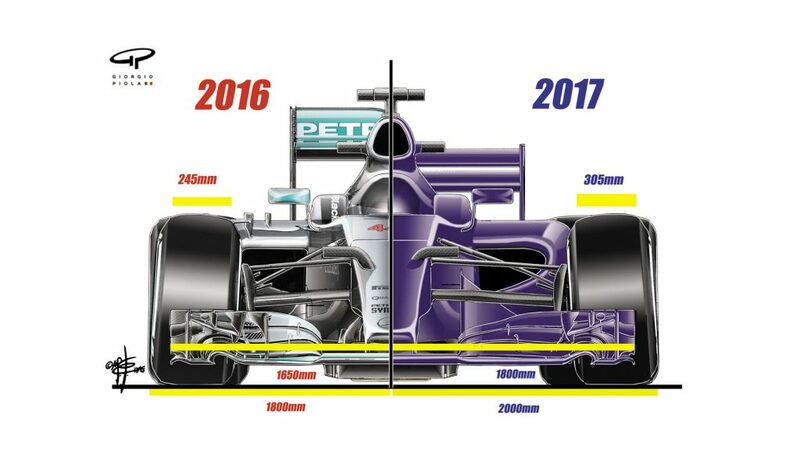 The rule updates - dominated by wider tyres, and lower, wider bodywork - are designed to boost downforce and cornering speeds, but they will also give the cars a very different look relative to their 2016 predecessors. “These 2017 cars are lower and squatter; they just look meaner,” Goss told McLaren’s website. “The lower rear wing, big fat tyres and big diffuser look cool - they look mean. Goss says the changes rank among the most significant ever seen in Formula One racing, with the alterations to the aerodynamic and tyre regulations the most challenging areas for the teams’ designers and engineers. Among the most obvious visual differences will be a wider, swept-back front wing - the car itself is now 200mm wider - and corresponding changes at the rear of the car. “The rear wing is also wider and lower - which helps make the whole car look lower and wider,” added Goss. “And there are some visual styling cues that have been introduced: the rear is swept back in side-view, and the sidepod intakes are angled in plan-view. It’s definitely a ‘meaner’ look. Under the 2017 rules teams will also be able to run much larger bargeboards in front of the car’s sidepods and Goss says this is another place where fans will notice an obvious difference in appearance. The result of all the rule changes will be cars that are more physically punishing to drive - and an expected drop in lap times of around three to five seconds. This, according to Goss, also means that teams will no longer classify some high-speed corners as ‘corners’. “What we mean by that is that engineers define a corner as a point on the track where the driver has to lift and essentially drive and handle the car through it; if he’s going round a bend, and his foot is flat to the floor on the accelerator, we class that as a straight,” he explained. McLaren's new car is expected to make its official track debut at the first pre-season test of the year at Spain's Circuit de Barcelona-Catalunya on February 27 to March 2.